Here in this Piedestal tapestry, we see a portiere tapestry based on the originals woven in the Gobelins manufacture in the 18th century. These portiere tapestries, often seen in mansion's drawing rooms, provide a long and relatively narrow work to cover walls. We see a pedestal with a vase of flowers, and birds flying overhead. This is a classic work in French 18th century style. 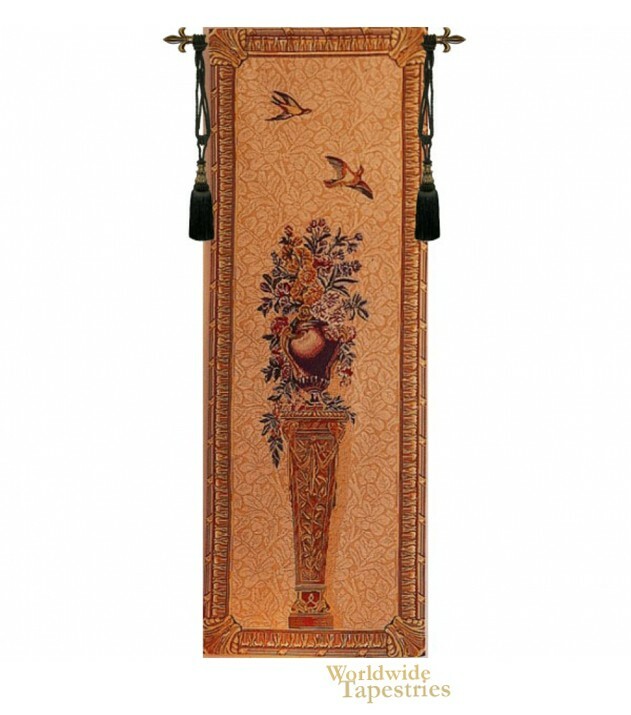 This Piedestal tapestry is backed with lining and tunnel for easy hanging. Note: tapestry rod and tassels, where pictured, are purchased separately. Dimensions: W 30" x H 80"